I read the saddest, saddest fairy tale today. It’s a cante fable from South Carolina dating back to the early 1900s, although it may have a Portugese connection. A cante fable, I just learned today, is narrative interspersed with short songs conveying crucial information, in this case magical spells. The important difference is that while a lot of folktales contain verses, a cante fable storyteller actually sings the passages. In this story, a sweet young girl’s mother dies and her father remarries. Sound familiar? Mary Belle gains two step-sisters, who, along with their mother are mean to her and she spends hours crying by the banks of the river. One day a mermaid rises to the top of the river, sympathizes with booy Mary Bele and brings her down, deep in the water. The mermaid gives the child something to drink and a delicious meal before sending her back home. The next day, Mary belle returns to the river and spontaneously sings a song, requesting that the mermaid take her down to the shady deep. The mermaid surfaces, takes Mary belle’s hand and brings her down with her, giving her treat to eat. Being a little girl, she has to tell her father and steop-mother about her adventure. The next day, Mary Belle sings and sings for her mermaid who never comes. And when she did know at last, she walked out into the river. Waded out in the water until it most covered her. And Mary Belle disappeared under the rippling waves. Gone was she, like the mermaid and like her mother. Gone, gone. All, way gone. True. Just a devastating ending. I love the cadence of the story, how you can hear the storyteller, feel her rhythm. I think this is one of those stories that would be beautiful read aloud by the right person. 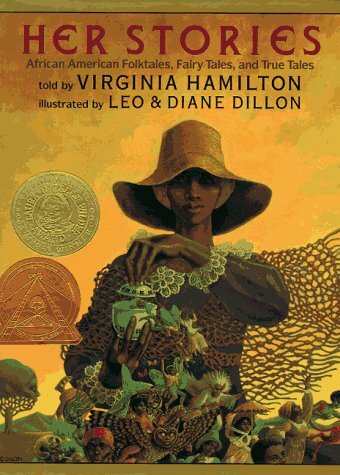 I discovered this enthralling story in Her Stories: African American Folktales, Fairy Tales, and True Tales told by Virginia Hamilton, illustrated by Leo and Diane Dillon. Hamilton’s retellings of these traditional stories are enchanting, and the illustrations are striking, rich, full of brilliant colors. I’m looking forward to reading more of the collection. 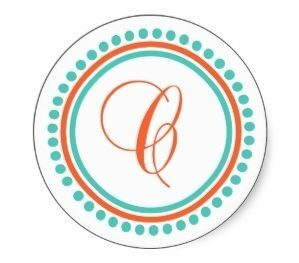 Tif, from Tif Talks Books, is the hostess of this great feature, Fairy Tale Fridays. Head over there to see what she has to say about “The Goose Girl” by the Brothers Grimm and to share your own thoughts. Alice’s Adventure in Wonderland is on the schedule for next week. I have never heard of this one, it does sound sad and beautiful. Great post! I love the mermaid illustration. Oh, no! What a sorrowful tale but somehow speaks of truth doesn’t it? That illustration is gorgeous. blodeuedd- I know, how could you shoot a mermaid, right? Wow! I have to agree with blodeuedd here! That one threw me for a complete loop! I need to see if I can find this book at my library. Definitely worth checking into more! That IS the saddest story! 🙁 The stupid father not only lost his beloved wife, but his own flesh and blood daughter because he has turned just as mean as his second wife and step-daughters. 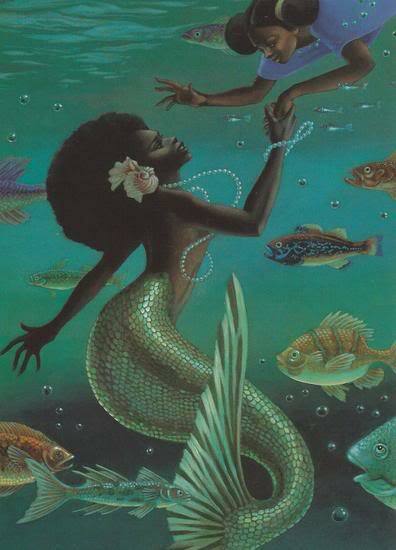 I LOVE THE ILLUSTRATION OF THE AFRICAN-AMERICAN MERMAID!! Unbelievably beautiful.